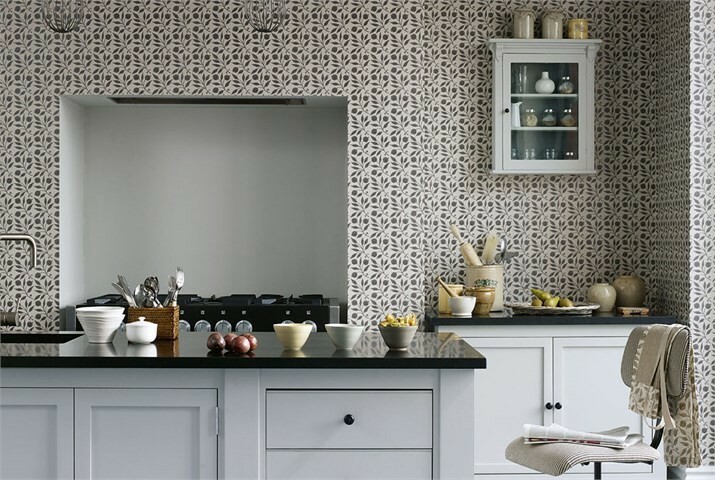 For many designers, the mere suggestion of putting wallpaper in the kitchen can raise eyebrows. 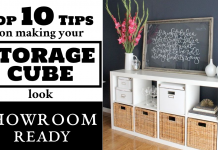 It is a space whose aesthetic is typically relegated to a functional and clean look. However, happy additions to accent walls or backsplashes are on the rise recently through the strategic inclusion of wallpapers that don’t distract but support the overall feel of the space. From small applications such as the back of shelving to full wall covering, wallpaper is on the rise. It doesn’t have to be a nightmare for cleaning, either, with the right tempered glass covers. 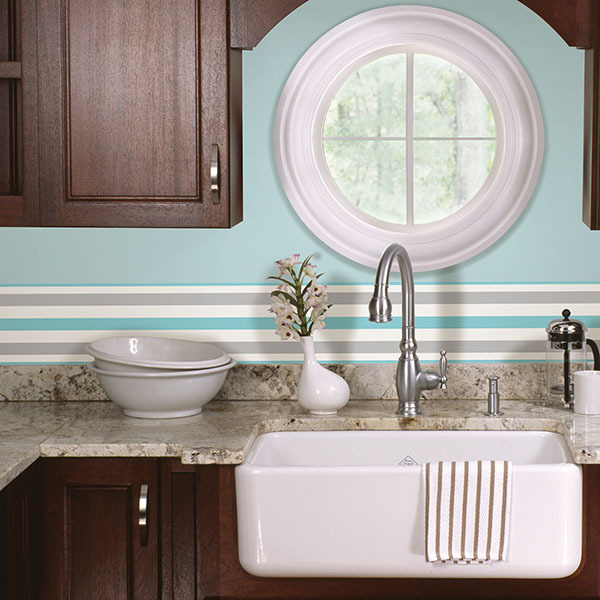 For solid colored kitchens, you can paint the back of the glass. 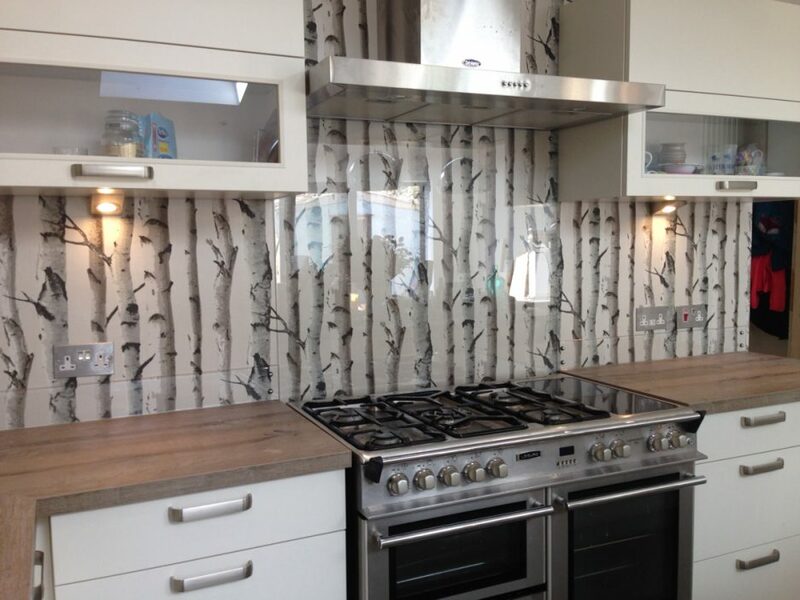 You can enjoy a beautiful kitchen wallpaper without fear of heat damage or grime ruining your chosen design. Additionally, it must be said that the wallpaper route is much easier on the budget than most material costs. 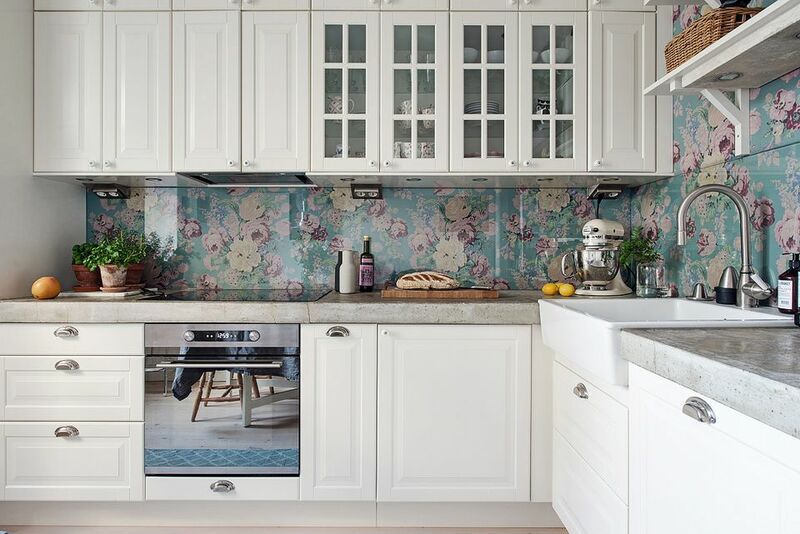 Whether you are a renter looking for options that won’t break your lease or simply interested in a fresh look for your kitchen that won’t break the bank, kitchen wallpaper may be ideal! In this small and sensible kitchen making use of white cabinets, some mild color from the Jonesport Pink Cabin Stripe wallpaper adds loads of personality. The horizontal lines flow with the cabinet facing, forming a cohesive partnership. This is a great example of how a well thought selection can not only beautify a space, but increase the aesthetic value of the cabinetry. A bold full-wall treatment can make a lasting impression against white cabinets and marble countertops / backsplash. A design that one might have found more likely in a bedroom instead adds an original and unique flair to the cooking space. It seems abuzz with activity, impressing upon you the natural purpose of the kitchen. The addition of marble backstops above the counters safeguards the wallpaper from spills or food. 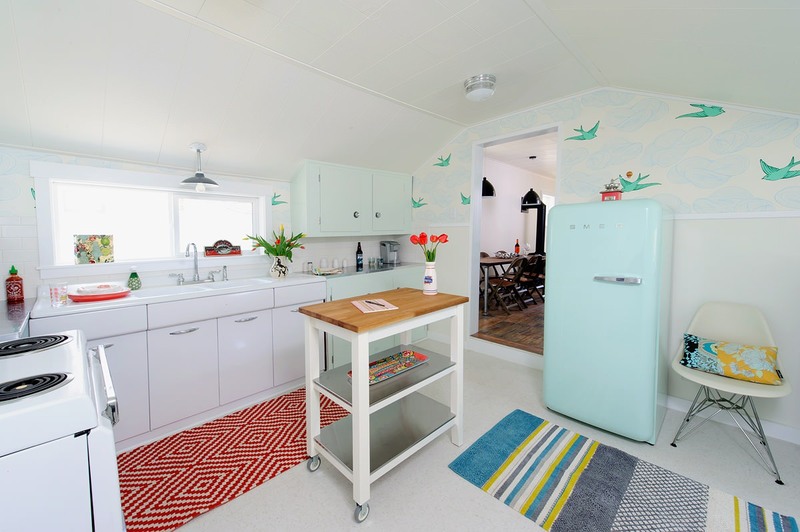 While the thought of wallpaper borders may be inseparable from images of old 40s kitchens and antiquated design, a fresh imagining of their application has seen a resurgence of them across the United States. 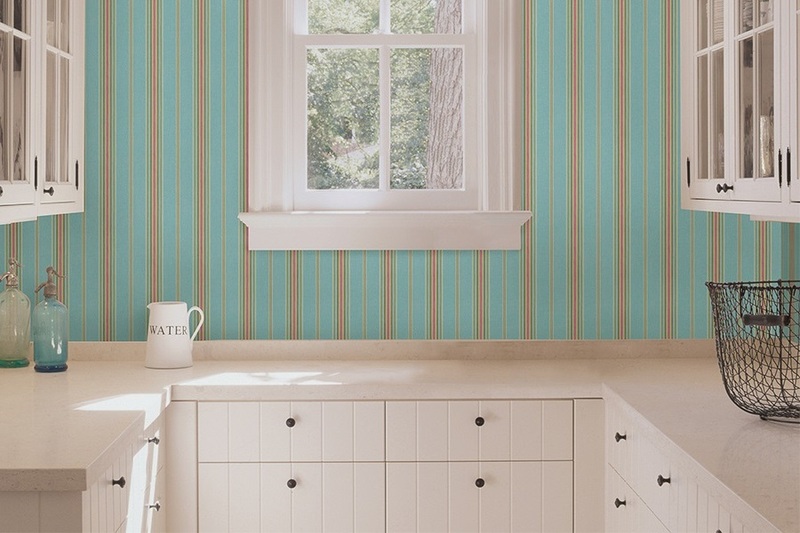 Inexpensive and easy to replace, vinyl strips like the above multicolor stripe from wallpops make it as easy as peel and stick to add an accent to your wall. 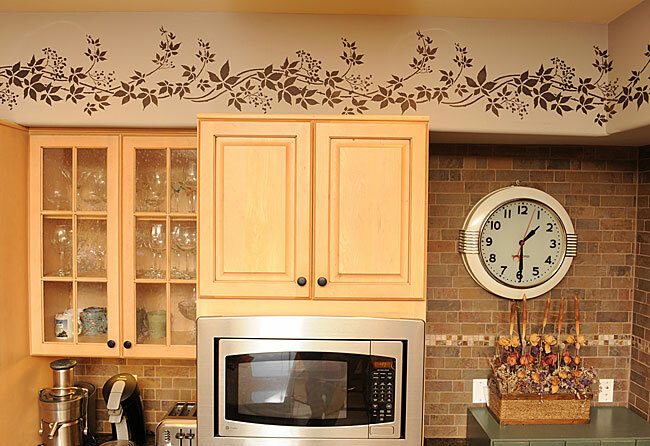 Kitchen wallpaper borders come in a huge variety of styles to match different decor or cabinets, so shop around and find the perfect complement to your unique tastes. Not the same application as the vinyl option, this stencil provides the same horizontal accent as a more permanent fixture. Along with the cream cabinets and festive dried flower arrangement, the autumn motif is in full effect. 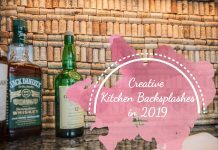 Given the tight economy of space in some kitchens, it can be difficult to find an accent that doesn’t visually crowd the space but still brings life to it. Wallpaper would seem like an unlikely option for your backsplash, given paper’s propensity for burning (however manufacturers have created standards around this). But tempered glass strips can open up an amazing doorway to variety in your kitchen aesthetic that we think you’ll find irresistible. Bringing tranquil outdoor imagery into the kitchen amplifies a sense of the serene. For the patient and calm cook, this kitchen exemplifies a methodical approach to food preparation. Have you ever seen something so European in your life? 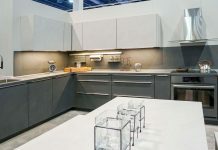 We also love how the grayscale wood imagery creates a blend between the white cabinets and light brown countertop.